While money may not buy happiness, it certainly buys security and stability. You have to be prepared for anything to happen, and we can help. 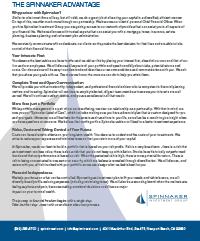 Spinnaker Investment Group is a boutique, family-owned investment advisory firm that helps each investor design, implement and run a portfolio. We work directly with each client to help them realize their financial independence. 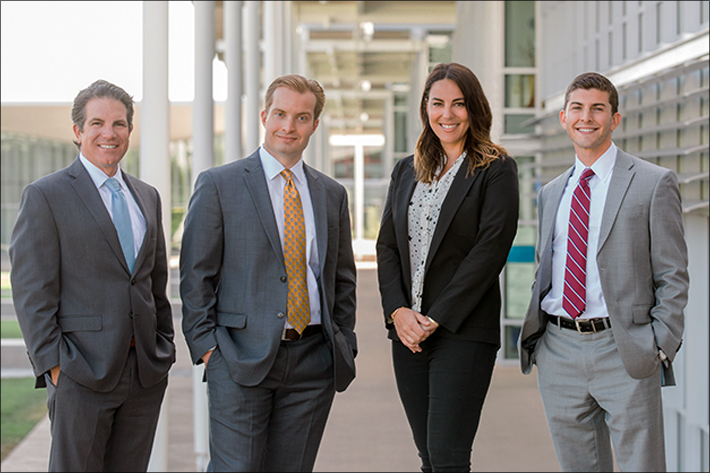 From setting savings goals to navigating the complex financial marketplace, our managers take the stress out of investing. 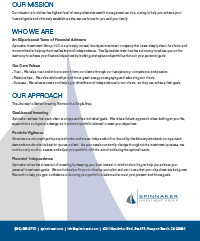 At Spinnaker Investment Group, our core belief is that everyone has the opportunity to develop a financial portfolio. Whether you are a lawyer at a major firm or a doctor in a small clinic, we can help you get on track financially. We take the emotion out of investing so that temporary emotions do not divert you from pursuing the short-term and long-term results that you need. Our team of experts has years of experience in the finance industry, and they use this experience to guide you through the process. Each client has different goals that they need to meet. Instead of lumping every goal into a single investment, we focus on investing money in ways that satisfy each objective. Spinnaker Investment Group takes a holistic approach to looking at your life, expectations and goals to design an investment portfolio that is tailored to meet your needs. Your needs are constantly changing, and your portfolio should be adjusted to match. Throughout the investment process, we continuously monitor, assess and adjust portfolios, aiming to achieve the optimal results. Whether you plan on being the first person to kayak around the Americas or want to start a gourmet restaurant, you will need a heightened level of financial stability. Through investing, you will gain confidence in knowing that your portfolio is designed with your present and future goals in mind. We work every day to provide you with the financial security that you need to pursue your dreams and be independent. Through financial wellness, you can achieve true freedom. Morgan Christen is the Chief Executive Officer and Chief Investment Officer of Spinnaker Investment Group, LLC. In this role, he leads the investment committee in building customized portfolio solutions for high-net worth clients. Mr. Christen brings 22 years of investment management experience. Morgan led Signature Resources Capital Management, LLC in Irvine as the Chief Investment Officer/Portfolio Manager in charge of research and asset allocation. Prior to joining Signature Resources, he served as the President of Charterwest Consulting Inc., a money management firm in Newport Beach. Additionally, he acted as the Vice President of Dolphin Securities Inc., a regional broker dealer and managed the firms’ 30 representatives. He holds a Bachelors of Science in Business Finance from the University of Southern California and an MBA from Pepperdine University. 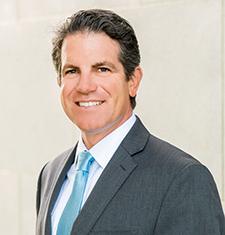 In addition, he holds both the Chartered Financial Analyst (CFA), Certified Financial Planner (CFP®) and Certified Divorce Financial Analyst (CDFA®) designations and served as a board member of the CFA Society of Orange County. Joe Stapleton is a Co-Founder for Spinnaker Investment Group. In this role, he assists businesses and individuals with customized investment management, life insurance, group benefits and executive compensation solutions. He holds a Bachelors of Science in Business Finance and Entrepreneurship from the University of Arizona. 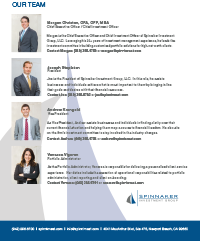 As an organization in the wealth management business, Spinnaker Investment Group has positioned itself uniquely among its peer group. 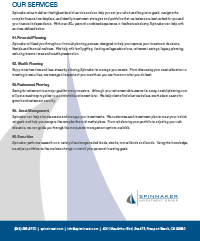 Through its team of experts and strategic alliances, Spinnaker helps provide highly objective and competent financial, estate, business and investment planning by providing a wide range of financial products and services from the vast universe of Fee Based Investment Services, Mutual Funds, Insurance Companies and Private Asset Managers. Andrew Krongold is the Vice President of Investments at Spinnaker Investment Group, LLC. He holds numerous licenses and designations including Chartered Retirement Planning Counselor. In this role, he assists businesses and individuals with customized investment management, life insurance, pension plans and executive compensation solutions. Andrew also sits on the firm’s investment committee to help continually stay updated on industry changes. 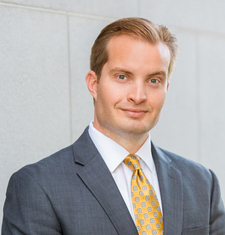 Andrew has previously worked for Signature Resources Capital Management and Bank of America. He also holds a Bachelor of Arts in Economics from the University of California, San Diego. 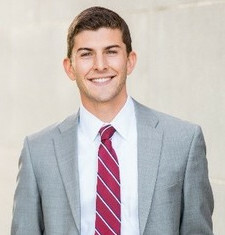 Andrew is very involved in the community of Orange County where he is a member of the Business Advisory Board for the Child Abuse Prevention Center, mentor with Big Brothers Big Sisters of Orange County, and a Board member for NextGen division of the Jewish Federation & Family Services of Orange County. As the Portfolio Administrator, Vanessa is responsible for delivering a personalized client service experience. Her duties include the execution of operational responsibilities related to portfolio administration, client reporting and client on boarding. She holds a Bachelors of Art, emphasizing in Painting and Sculpture from University of San Diego. Vanessa has lived in Paris, France and Perugia, Italy and enjoys being active in her free time. Anthony Puma is a Financial Advisor at Spinnaker Investment Group, LLC. In this role he works with individuals and small businesses to provide customized investment management, retirement planning, and executive compensation strategies. Anthony brings over 18 years of experience in the Financial Services Industry, most recently for 8 years with Signature Resources Capital Management, LLC. 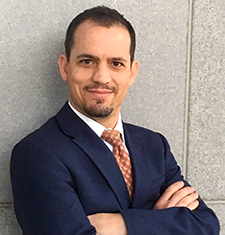 He holds a Bachelors of Science in Business Administration with emphasis in Marketing from California Polytechnic State University of San Luis Obispo. He is actively involved with his community giving back through various roles with multiple non-profit organizations in California, including the Police and Fire: The Fallen Heroes, Wyland Foundation, and Pacific Marine Mammal Center. When he’s not meeting with clients or working with his community, Anthony spends time in his art studio creating custom works of art. Jaril Tudio is an insurance professional specializing in life insurance and long term care. She is well versed in utilizing insurance in succession planning having worked over 16 years in banking focusing on business owners as a Small Business Banker/Relationship Development Officer. Jaril was most recently employed with New York Life Insurance, where she worked for 5 years achieving the Million Dollar Round Table. Jaril believes in working as a team and has strategic business partnerships with various professionals. These professional help to create comprehensive plans for asset protection, estate planning and business exit strategies. 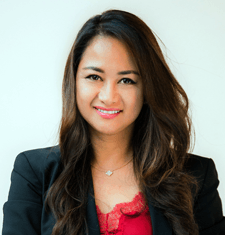 Jaril focuses on adding value to her clients’ lives by assisting them to create wealth while also planning on the eventual transfer and distribute to their loved ones. Jaril works with her clients to ensures that as they plan their legacy they do so while continuing to live their lives with security and dignity. When Jaril is not spending time with her family, she is serving in the community where her passion involves advocacy for children’s education and development. 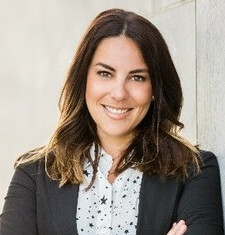 She currently serves as a Community Safety Partner for The Center for Autism & Neurodevelopmental Disorders (a UCI Foundation), an Ambassador for The Boys & Girls Clubs of Central Orange Coast, Ambassador for Newport Beach Chamber of Commerce and a committee member of The Newport Beach Police Association Charitable Foundation. She is also an active volunteer for PhilDev which is a nonprofit that supports education and scholarship programs in STEM for students in the Philippines. Through sound financial planning, you can improve your investment decisions, lifestyle and financial wellness.